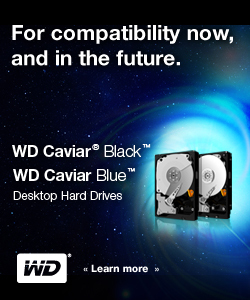 Capacity per HDD increasing from 3.75 megabytes to greater than 1 terabyte, a greater than 270-thousand-to-1 improvement. Size of HDD decreasing from 87.9 cubic feet (a double wide refrigerator) to 0.002 cubic feet (2½-inch form factor, a pack of cards), a greater than 44-thousand-to-1 improvement. Price decreasing from about $15,000 per megabyte to less than $0.0001 per megabyte ($100/1 terabyte), a greater than 150-million-to-1 improvement. Average access time decreasing from greater than 0.1 second to a few thousandths of a second, a greater than 40-to-1 improvement. Market application expanding from general purpose computers to most computing applications including consumer applications. Join us for the 25th DISKCON USA. This entry was posted in Uncategorized, USA Events.